Website is a YEAR OLD! Home » Blog » Website is a YEAR OLD! This is a big month as it is when I started the blog…a year ago! 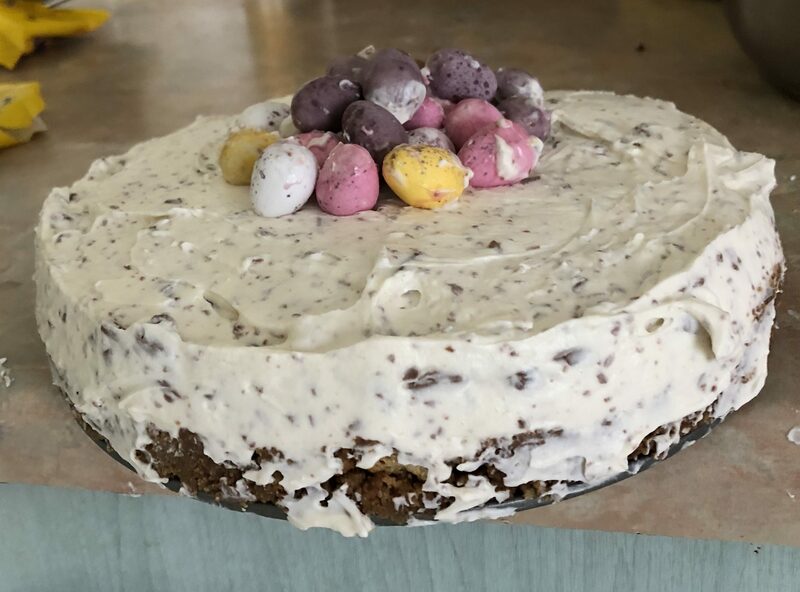 I cannot believe it has been a year since I posted my first ever recipe which was….the Mini Egg and Flake Cheesecake. This was a good way to start off I think, this recipe was to die for and such a simple recipe. Looking back on the last year, this blog has grown more than I ever thought it would. Yes I don’t have a huge number of subscribers but I get to share the recipes I love and I also get to do something I love. For me baking, is my way of relaxing. I know that sounds strange but standing in my kitchen, knowing that I am making something yummy is the best thing in the world. I love sharing my cakes with people and making their day. 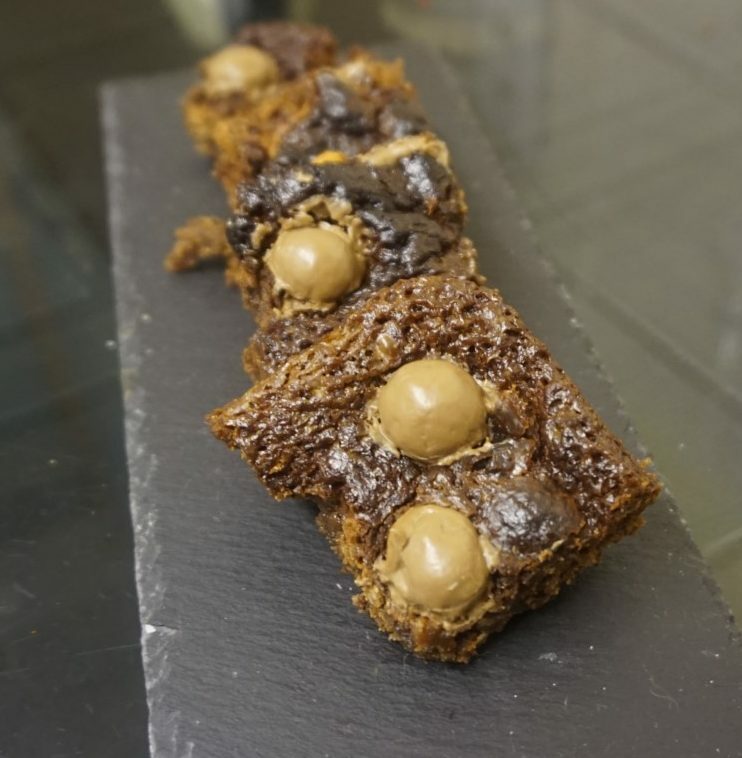 So for this post, I want to look back on the past year and show you some of my favourite recipes. First: This one has already been mentioned above but it has to be the Mini Egg and Flake Cheesecake because it was just so yummy. The crunchiness of the mini eggs that have been crushed up for the mixture gives a bit of texture to the creaminess the cheesecake while the flake is a subtle flavour that goes perfectly in this recipe. I will probably make this again at Easter as it was a big hit with the family and it has such a good Easter recipe. Second: Another one from April, the Double Chocolate Chip Cookies…these were just so good. 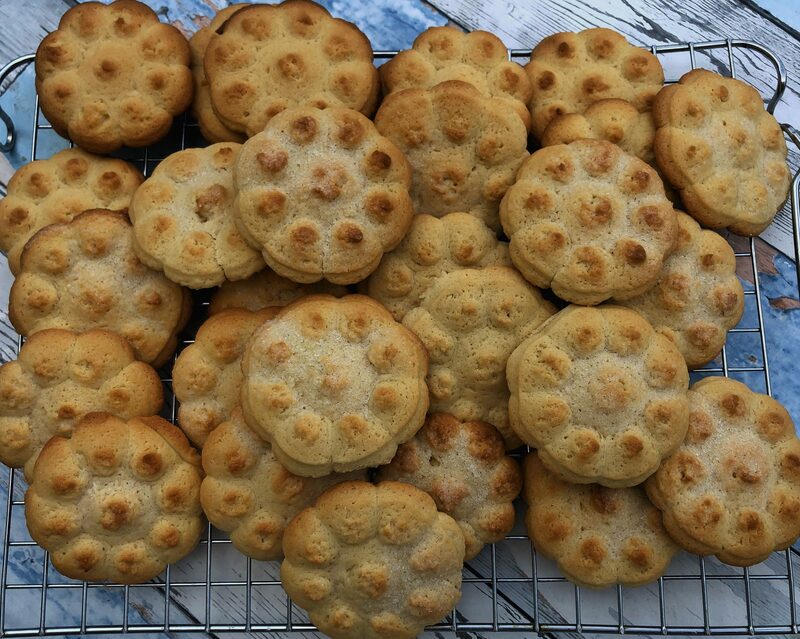 I love using chocolate buttons in cookies because they are bigger so you get more chocolate bits and I think they just work better than chocolate chips or chunks. These were perfect for the road trip we took and they still tasted amazing a couple of days later. These cookies are good for sharing as the recipe makes lots of cookies. These always smell amazing when they are cooking and I always get excited when they cook. Third: I think this is an odd one but I like the simplicity of this recipe. 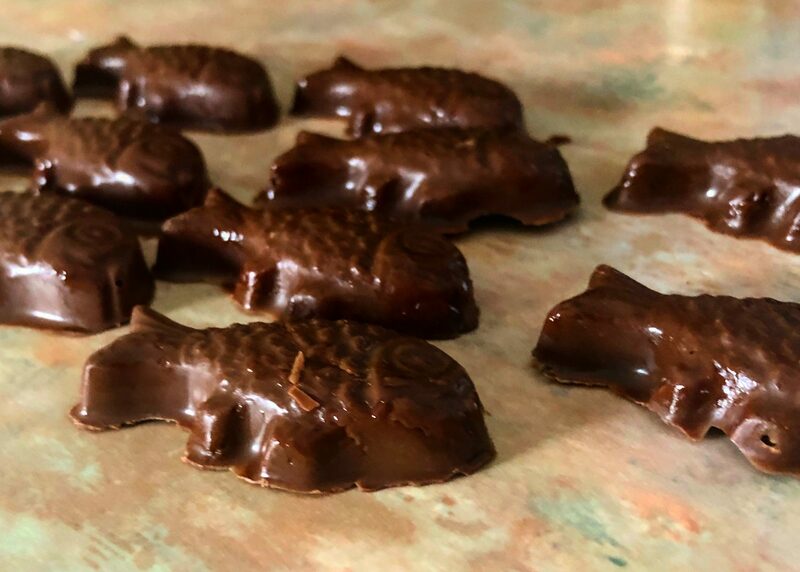 This is the Chocolate Fish Recipe that I did in June as a Father’s Day gift for my boyfriend’s dad Julian. I love making homemade gifts as I think it makes them more special. This idea came from Julian’s love of fishing and how he normally doesn’t catch too many fish so I thought would help him catch some…just the chocolate kind. Amazon was big help getting this recipe done as to get my little fish right, I needed a mould and like always Amazon had one. Yes, these is no actual baking involved here but melting and tempering chocolate is a skill that is used over and over again. My boyfriend’s dad really liked these and thought that they were a cool idea. Fourth: Next recipe is Vanilla Cookies because it meant that I could use a piece of kit that I have had for a while but not perfected how to use. Again, these were a nice simple recipe. I used a cookie press to get the funky look of these cookies and I liked using it and I did finally get the hang of how to use the cookie press. This recipe has been a classic in my house as you could eat them on their own or have some with a cup of tea. 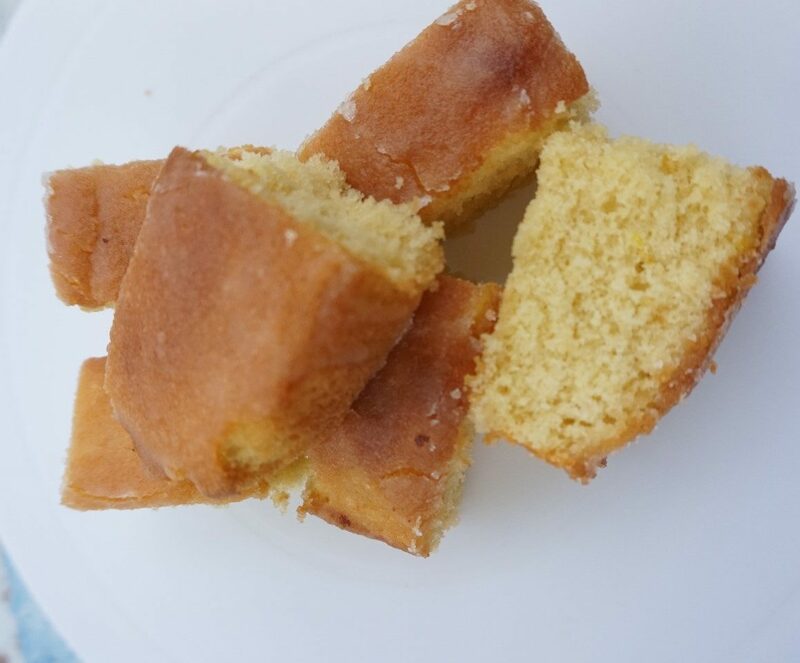 Fifth: Next is the Lemon Drizzle Cake, I loved this cake because it was out of comfort zone but also because once it was done it tasted amazing, this cake was also made to help raise money for a charity which I love because I like knowing that my cakes have helped in some way. The crunchiness of the lemon top was so good, and I was super happy with how this cake turned out. 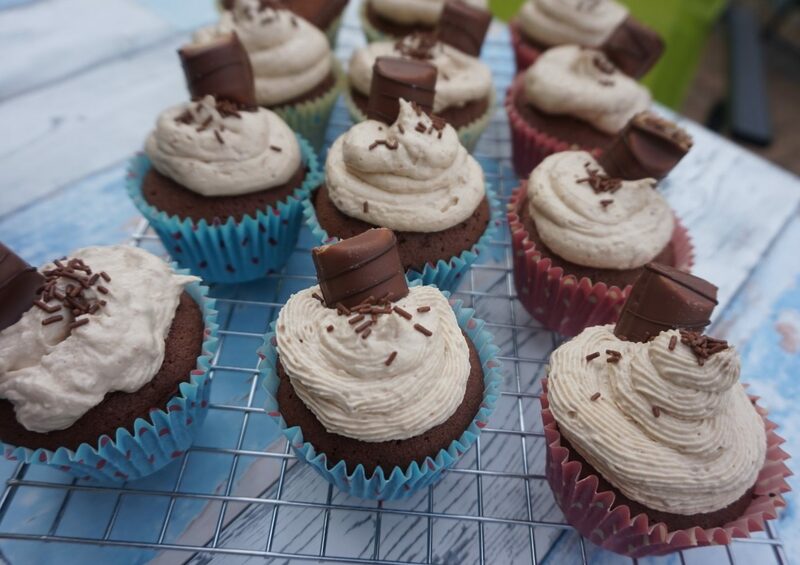 Sixth: These must be one of my favourite cupcake recipes because it uses one of my favourite chocolate bars: Kinder Bueno. These cupcakes were the first ones that weren’t like the ones I had done previously. The crunchiness from the crushed up kinder Bueno in the buttercream made it even tastier. I loved making these cupcakes as well as eating them. 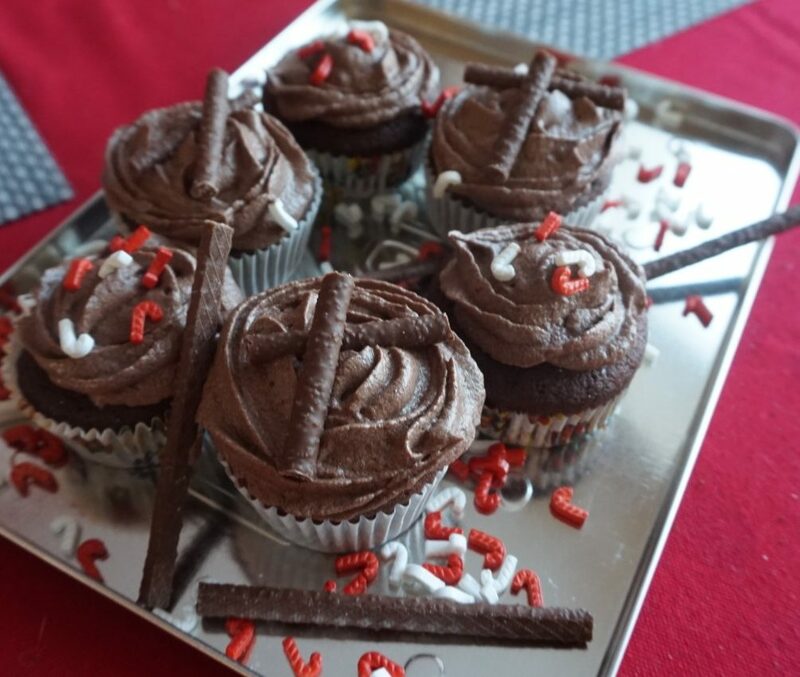 Everyone loved these cupcakes and they are defiantly on my list of what to make again. Seventh: September 2018 was a quiet month due to me starting a new job so not much baking happened. One thing that I did make was a joint venture with my best friend and I have to say that it was a good night of baking, just having a laugh and do what I love. This bake was the Banana cupcakes, these are vegan. These cupcakes were strange to me because they didn’t use ingredients, I was used to making but I did enjoy making them. 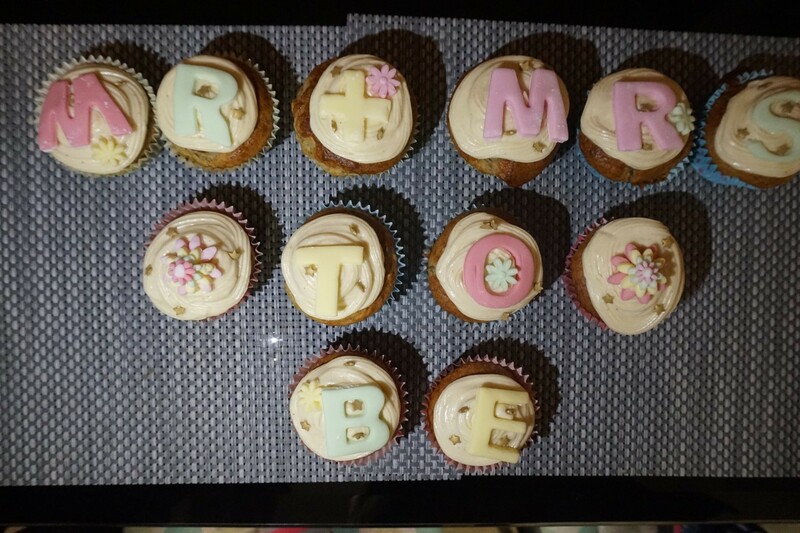 Me and my friend made these as a gift for a friend of ours whose engagement party we were going to. My friend really liked these and thought they were a great gift. 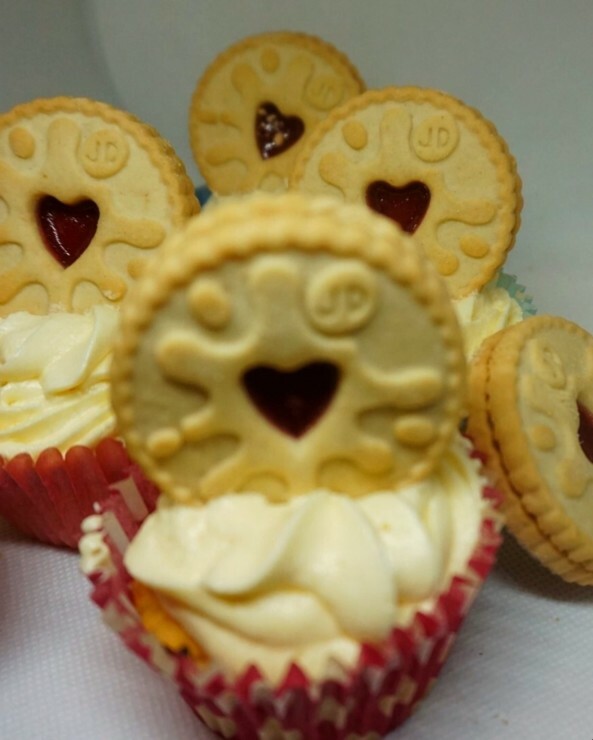 Eighth: This recipe was recent, but it went down a treat…Jammie Dodger Cupcakes. I love biscuits and cakes, so this recipe was the perfect combination. I’ll admit that I never actually got to try one, but they went down a treat at the work charity bake sale. These had a cheeky jam centre which was a good surprise and went down well. Ninth: Going back to November last year, the weather was horrible, and chocolate was all around in the lead up to Christmas. This recipe went down so well that it was sad when the bit you had, had gone. Brownies haven’t quite been the same since the Malteser Brownies. So chocolatey and fudgey that these brownies were my favourite I have ever made. Tenth: Final recipe that I’m looking back on is…Mint Chocolate Chip Cupcakes. One reason I love these is because I love the photo for these. I also love anything mint chocolate so in cupcakes it is heaven. There is a slight confession for these is half are mint chocolate and half are chocolate orange as I wanted to do a mixture of both. These cupcakes were so good. So, there it is my ten favourite recipes for the last year. I have enjoyed baking everything on the website which I’ll admit made picking just ten to feature as favourite.